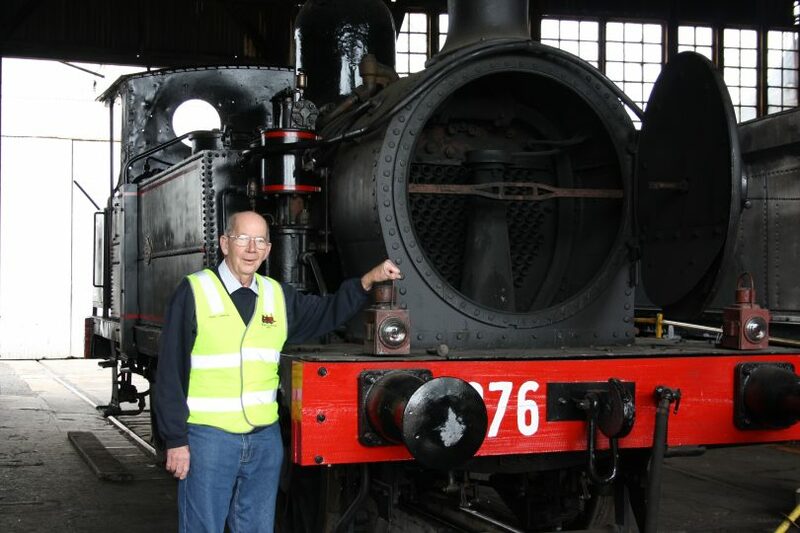 Rail heritage volunteer Terence Carpenter is helping other rail enthusiasts prepare for the 150th anniversary of the railways in Goulburn. Photo: Supplied. Goulburn is preparing to celebrate the 150th anniversary of the arrival of the railway, highlighting the pioneering role the nation’s first inland city played in the development of NSW railways. “Local pastoralists wanted a quick and inexpensive way to get produce to Sydney and in 1846 met at the Mandelson’s Hotel in Goulburn which was the first consideration of a railway in Australia,” Goulburn Loco Roundhouse Preservation Society Inc (GLRPS) Secretary Terence Carpenter said. Known as a ‘railway town’ as much as the fine merino wool capital of Australia, the railways provided significant employment in Goulburn until the 1990s. By 1935, 876 residents were employed by the railways. “Engine drivers, fitters and turners, firemen, time keepers, traffic control…the railway was a major employer in its heyday. Goulburn was also the centre for the district superintendent, the workshop that looked after all the district’s tracks and which manufactured machinery and equipment for the region,” Terence said. 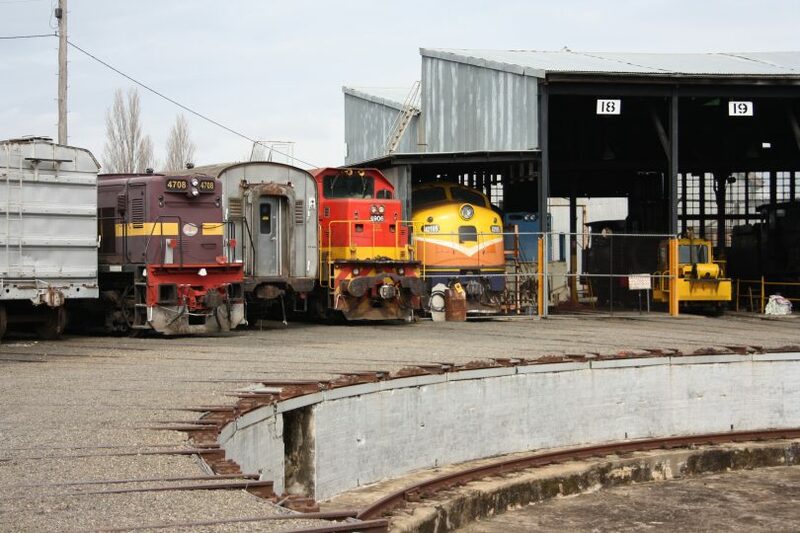 Today much of the rail infrastructure and train services have been lost, though Chicago Freight Leasing Australia (CFLA) operates a diesel locomotive maintenance facility next door to the GLRPS’s Rail Heritage Centre. More recently, the NSW Government bypassed Goulburn to award Dubbo as the site for its new rail maintenance centre and residents have been pushing hard for more commuter services to Sydney for decades. “In 1869 two trains a day serviced local commuters between Goulburn and Sydney. In 2018, two commuter trains turn from Goulburn to Sydney,” Terence said. 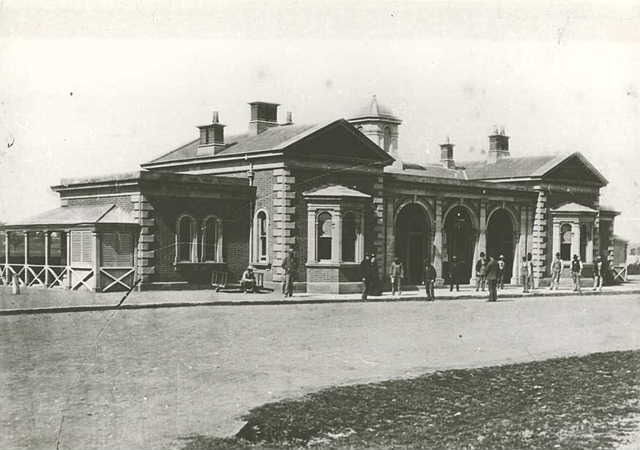 The Goulburn Railway Station, circa 1880. Photo: Goulburn Loco Roundhouse Preservation Society. However, local rail enthusiasts are ensuring that the unique railway heritage in Goulburn is not lost, but instead commemorated. The GLRPS Committee is busy planning the 150th for 25th-26th May 2019 and has invited NSW Governor David Hurley to attend the celebrations. There will also be a Ball and celebration dinner, a tree planting in Goulburn’s Belmore Park and a time capsule to be buried in the railway station gardens. A re-enactment arrival is being investigated, as well as a photographic and memorabilia display at the railway station on Platforms 2 and 3. The 150th Anniversary Celebrations have the support of various levels of NSW Trains and the Australian Rail and Track Corporation (ARTC) – the company that maintains and manages 8,500km of railway lines across Australia. The GLRPS operates the Goulburn Rail Heritage Centre, home to the historic Locomotive Roundhouse, which attracts around 3,000 tourists a year. “We have a static museum and about 80 members in the GLRPS,” Terence said. Like other grassroots heritage groups across rural NSW, members are passionate about preservation – however, it’s an ageing volunteer brigade. The Goulburn Locomotive Roundhouse is the largest heritage based operating roundhouse in NSW. Photo: Supplied. Most of the GLRPS are either former railway employees, enthusiasts or rail history buffs. For Terence, growing up in a railway household led to a love of all things rail, and he joined the GLRPS five years ago when he moved to Goulburn. The Goulburn Locomotive Roundhouse is the largest heritage based operating roundhouse in NSW. Displays include the historic transition from steam to diesel, and a range of locomotives and rolling stock are exhibited. The original 42 road circular shed with its 90-foot turntable continues to operate today. The museum located in Braidwood Road is open from Tuesday to Sunday from 10 am-3 pm with the last tour at 2.30 pm. On Sunday, the centre closes at 2 pm. Email [email protected] for more information.